The old wives tale goes that you “eat for two” when you’re pregnant, but science shows this isn’t the case. In fact you require only an additional 200 calories, or the equivalent of around 2 pieces of fruit, a day. What the total calories is made up of, however, does require a lot of thought. A well balanced diet is vital, lots of water, lots of the right vitamins and minerals. 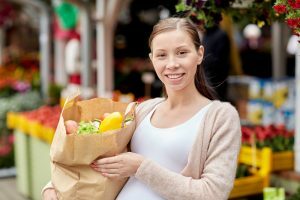 The EP Pregnancy Nutrition course is brought to you by an experienced pregnancy dietitian who will answer all your questions – even some you hadn’t thought of yet!